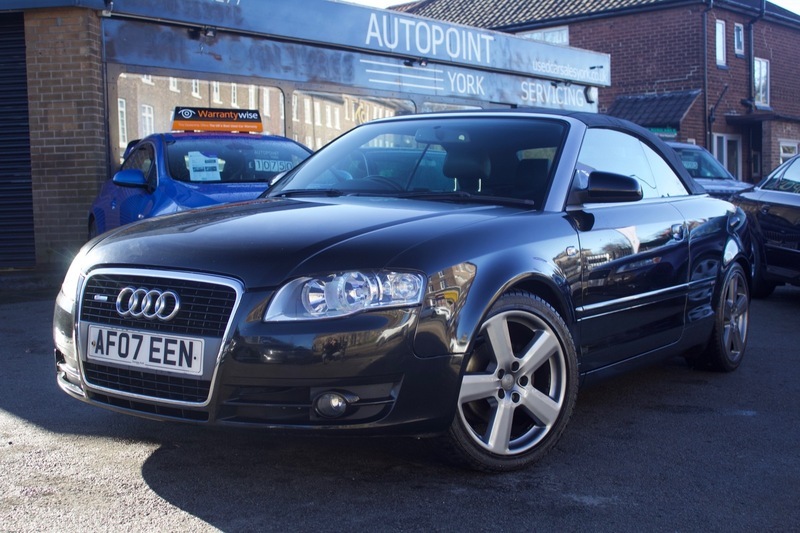 Here we have our Audi A4 Convertible S Line in Black and finished in Black S Line Leather Seats. The car comes with Air Conditioning, Alloy Wheels, CD Player, Central Locking, Climate Control, Electric Windows, Electric Roof, Cup Holders, Electric Mirrors, ISOFix point, S Line Leather Seats, Radio, Upgraded Speaker System and Steering Wheel Controls. The car also comes with MOT, 12 months Service, Warranty, Free AA Cover for a year and Pre Delivery Inspection Report.